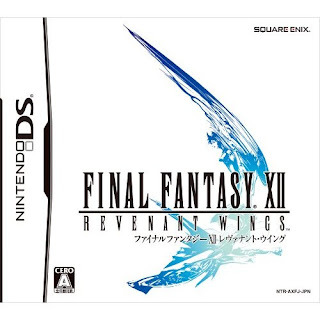 Here, according to various gaming sites (including the great GoNintendo.com) is the final box art for Square's Final Fantasy XII: Revenant Wings. The game is due out in Japan in April, with no release information available for the U.S. or anywhere else yet. It looks fine and dandy to me. A bit plain, maybe, but it definitely fits with Square's more modern, sleek packages these days.